It was a pleasure to see every single person yesterday – from 9 and 10 year olds right through to the vets team including players in their 50s – all players from each age group acquitting themselves very well. 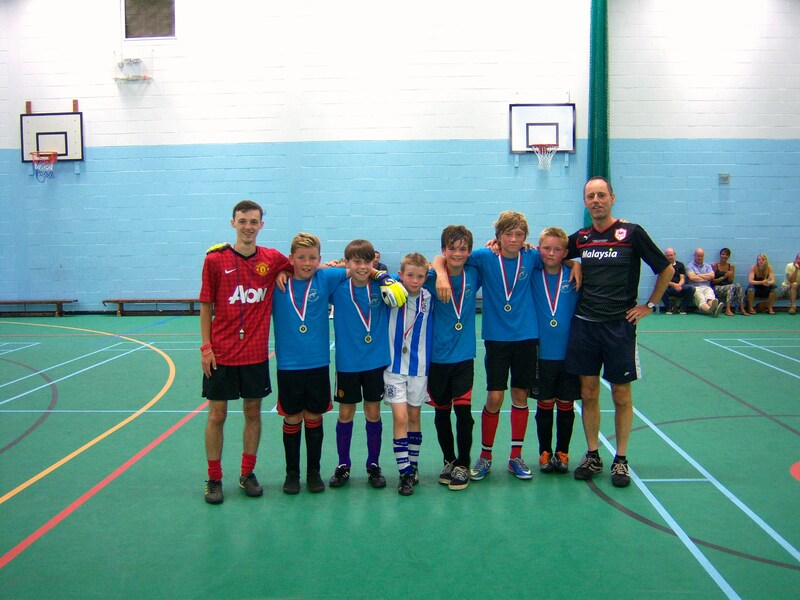 This was the third football event we have held – the Huw Thatcher 5 a side competition was initiated by (then 14 year old) Sam Briggs in July 2011 and has been organised by Huw’s friends in each of the three years. 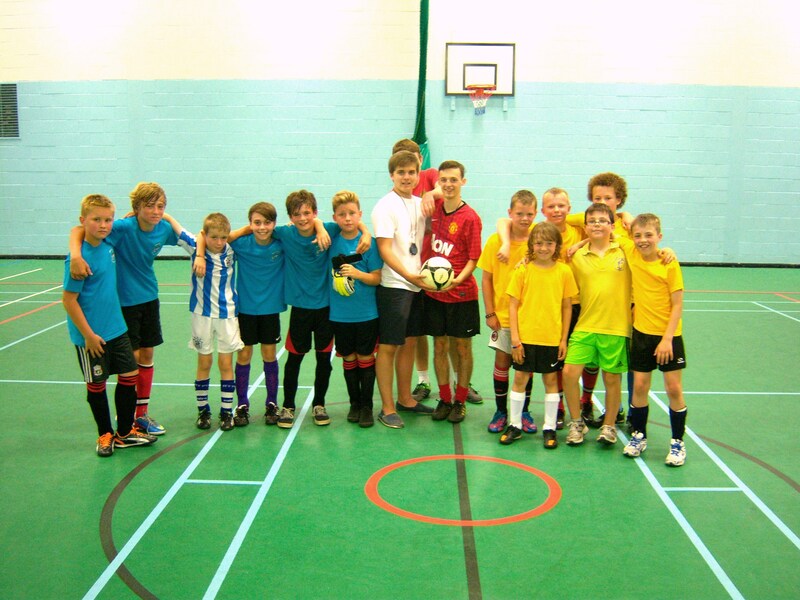 This year it was Isaac, Joel and Ed’s turn to show thier colours as close friends of Huw – and as great organisers. Yes, these 3 lads (abely assisted by Mum Michelle) played a blinder setting up the teams and running the day – especially as they had just had a busy month at school and college – followed by ‘T in the Park’ and other commitments in the last few weeks. In Isaac’s case a week of not much sleep was ended by a sterling effort. In fact every person who showed up put in a great shift to play, support and help – because they’re a great bunch – wanting to do something postive, have some fun and remember their much loved friend – Thatch – who would have revelled in days like this. Throughout the day it was an absolute pleasure to talk to those who had amusing stories to tell about Huw. 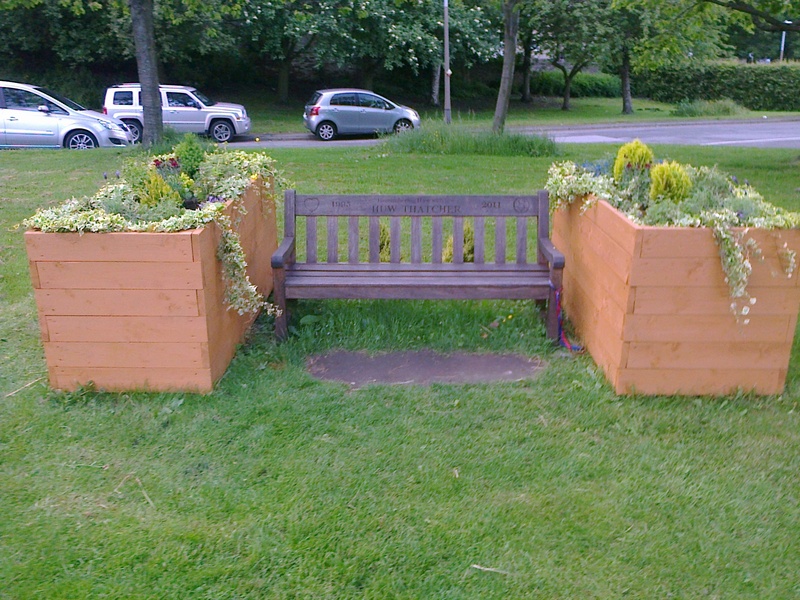 It was also pleasure to take some time out in the middle of the day to go (with Liam and Tom) and water Huw’s tubs at Sands – that are looking beautiful this summer. Huw wasn’t forgotten today – we all know how he’d have loved to laugh about setting up the teams, show his skills on the football pitch, enjoy the products from the tuck shop, have fun with his friends and flirt with the girls. It was a pleasure to see so many young people from Holmfirth doing all of that today – with the winners taking away ‘Rembembering Huw’ medals. It wasn’t lost on anyone why we were there today – but we had a heck of a lot of fun too. 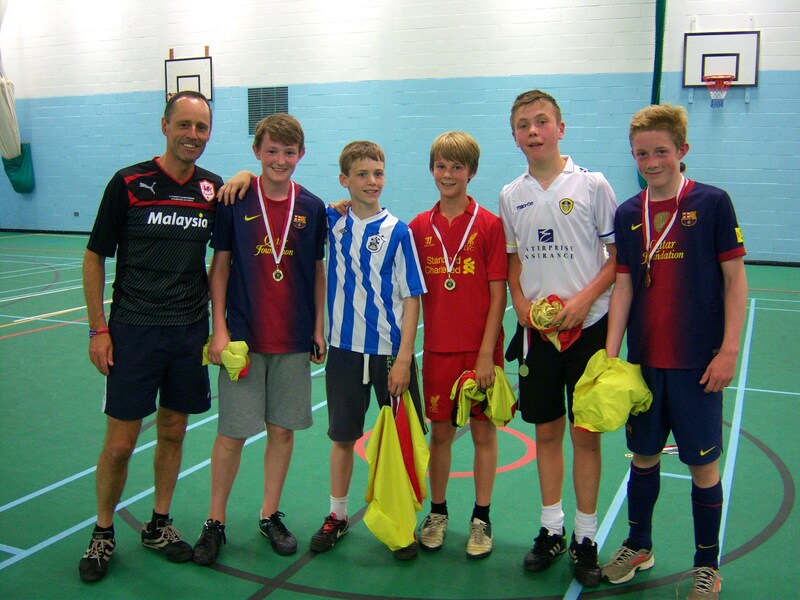 We started at 9.00 with the 10 and 11 year olds – thank you to Wooldale and Hade Edge Schools and their parents who watched as the young players battled it out with ‘Wooldate 1’ winning the competition in style. Then the 12 and 13 year olds were on – with Will Oakley following in his elder brother’s footsteps from last year in captaining the winning team in his age group. And 11 year old Jake did so well, that he was invited to play in one of the 14 year olds team straight afterwards – his enthusiam (and that of his parents) typical of these young players who play local football every weekend, just as Huw did at their age. We got to the 14 and 15 year olds in mid afternoon and it was fitting that one of the organisers (Joel) was able to lead his team to victory in this age group. It was about this time that one of the many generous food donations arrived – there was something special about these cakes that made me catch my breath – iced cakes with HT lovingly patterned on each one. HT the handsome boy they all adored and will never forget for the rest of their lives. 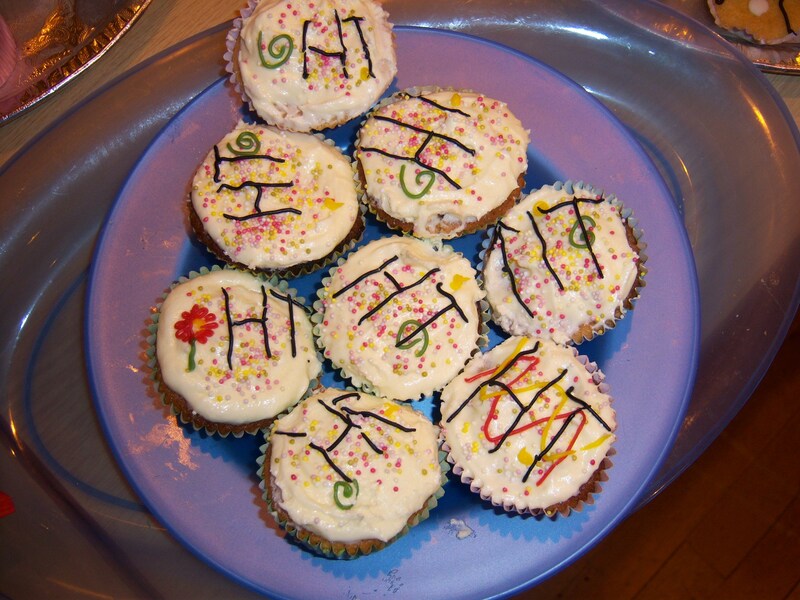 Whoever made them must have had Huw in their heart when they made those cakes. In Part 2 of my reflections of this day later in the week – I’ll reveal the exact total of the funds we raised – although I feel sure it was in excess of £700. Part 2 tells the story of the glamour of the girls competition, followed by the fierce competition of the 16 and 17 year olds (not forgetting the vets) – and the dramatic penalty shoot out that ended the day in dramatic fashion. Click this link here for part 2 of the five a side night.